The University of Houston Cougar Literacy Corps-AmeriCorps (UH CLCA) gives qualified college students the opportunity to work as reading tutors in nearby elementary schools, to participate in community-service projects and to serve as role models – all while gaining real-world education experience. UH college students selected to participate will be paid a living stipend and an educational award. 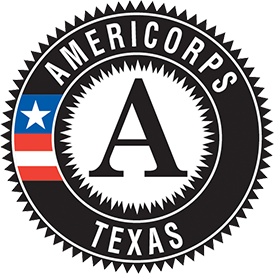 Formed in summer 2017, the Corps is a partnership between UH’s Advancing Community Engagement and Service (ACES) Institute and the federally supported AmeriCorps program. Read the information, applicant requirements and job description below. Set up an AmeriCorps profile. Apply to be a UH Cougar Literacy Corps-AmeriCorps tutor. The tutoring starts soon, so apply now! What will I do as UH Cougar Literacy Corps-AmeriCorps member? As a Corps member, you will work as a tutor 18 to 20 hours a week in elementary schools close to the UH campus. The participating schools are in the Houston Independent School District and are partners in the UH Third Ward Initiative. Corps members may work one-on-one with young students or provide small-group reading tutoring sessions. In addition, you’ll have opportunities to collaborate on community-service projects and serve as role models for local youth. Together, we can work to improve the lives of students in our community through promoting and accelerating literacy achievement. 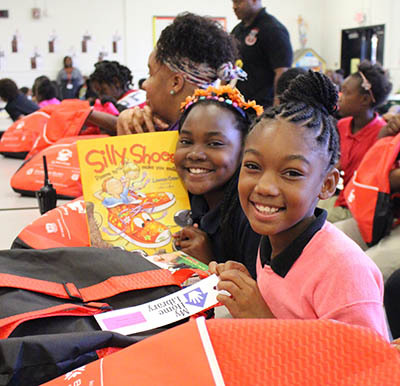 The ACES Institute has teamed with the UH College of Education, the Barbara Bush Houston Literacy Foundation and Houston ISD to ensure all Corps members have the necessary tools and resources to succeed as reading tutors. As a UH CLCA tutor, you will be equipped to support students’ reading success while gaining valuable experience and networking opportunities to support your future career endeavors. Ongoing trainings and support will be available to all tutors during the entirety of their membership and assignment. Are there any qualifications to apply? Be 17 years of age or older and have at least a high school diploma or recognized equivalent by your start date. Be either a citizen, national or lawful permanent resident alien of the United States. Pass mandatory pre-service background checks. Have a dedication to community service and interest in education, specifically helping young children develop early language and literacy skills. Have basic computer skills, including the ability to navigate online systems and email. Be energetic, results oriented and student focused. Be willing to accept and incorporate constructive feedback from coaches and program staff. Have strong personal standards of excellence, ethics and integrity. What are the benefits of being a Corps member? In addition to the invaluable benefits of community service and job-related experience, the program provides a monthly living allowance as well as an education award at the completion of your service. What is the job description? Job description: Provide tutoring services 20 hours a week with Houston Independent School District (HISD) elementary students in the UH Third Ward Community Partnership schools. You may work one-on-one with our young students or provide small-group reading tutoring sessions. Conduct one-on-one tutoring sessions with students, using evidence-based literacy interventions provided by UH and HISD with fidelity. Assist children in improving their reading skills and abilities to reach grade-level expectations. Provide opportunities for family literacy involvement, including implementing the UH Corps family engagement literacy intervention, called UH CLCA - Read At Home! (RAH! ), and My Home Library. Maintain a weekly tutoring schedule. Assess, with a high level of accuracy, students’ continual progress using ongoing benchmark assessments and ongoing progress monitoring assessments. Provide complete, accurate and timely documentation of students’ weekly progress scores and interventions using an online database; maintain confidentiality of all student data. Regularly review student data with Site Supervisor and Member Coordinator to gauge the effectiveness of the literacy intervention being used and determine if a change in strategy is necessary. Participate in coaching sessions (includes observation of tutor); act on constructive feedback from coaching sessions. Communicate and interact with students in an age- and developmentally appropriate way. Build professional relationships and communicate regularly with classroom teachers, Site Supervisor and Program Staff about student schedules, interventions, student progress, etc. Communicate effectively with UH CLCA program staff and site personnel and act on constructive feedback provided by program staff.